Seven leaders of the Baha'i community in Iran convicted of spying for Israel have been sentenced to 20 years in prison, according to reports that reached the Baha'i international community. According to Bani Dugal, the Baha'i representative to the UN, "The accused received the sentence, and their lawyers are preparing an appeal." The seven leaders were arrested two years ago. In addition to espionage, they were charged with illegal organization and distribution of propaganda against the Islamic regime. 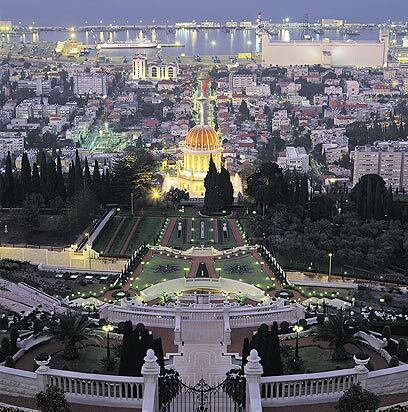 Reports obtained by the Baha'i community said the allegations of "ties with Zionists" are based solely on the fact that the Baha'i World Center - the spiritual and administrative center of the Baha'i faith – is located in Haifa. The attorney representing the Baha'i leaders is Noble Peace Proze laureate Shirin Ebadi, who called the ruling "political." The leaders' trial comprised six brief court appearances beginning last January, after they had been held without charges for up to 20 months, the Baha'i International Community said. According to the Iranian Revolutionary Guard Corps, this week the Baha'i leaders received instructions from Israel to undermine the regime in Tehran, a claim the community has vehemently denied. Iran's 300,000-strong Baha'i community constitutes the country's largest non-Muslim religious minority. The Baha'i faith originated in 19th century Persia, but the Islamic Republic does not recognize it as a religion and considers the followers as apostates. A US State Department report released earlier this year criticized the Iranian government for its treatment of those practicing the Baha'i faith. The report said Iran's government prevents Baha'is from gathering in homes to worship and bans Baha'is from public schools, universities, the social pension system and government leadership posts unless they conceal their religion. "The government repeatedly pressured Baha'is to recant their religious beliefs in exchange for relief from mistreatment," the report said. See all talkbacks "Report: Iran jails 7 Baha'i 'spies'"